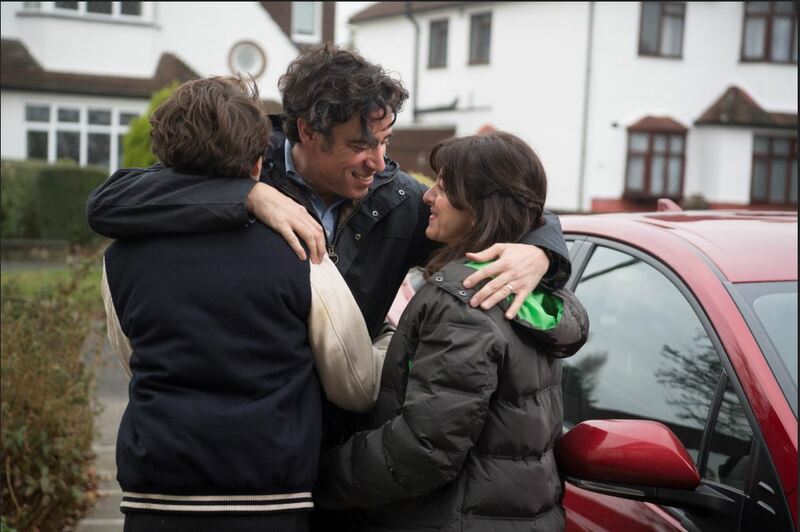 You’ll question true love this Valentine’s Day after watching Stephen Mangan in Bliss, which starts tonight on Sky One, and filmed extensively in Sutton – which was doubling for Bristol. Mangan, who also starred in Green Wing and Episodes, plays a travel writer, who fakes all his travel in order to balance his time between two different families. The families comprise partner Kim and their teenage daughter Christina, and another family in Bristol they know nothing about — Denise and their teenage son Kris. In December 2016 the show filmed at The Old Rectory on Malden Road in Cheam. Cheam Library doubled as school. And a house on Palmer Avenue played the home of Denise and Kris, although their scenes inside the house were shot in a studio. For the second time this year, McDonalds has chosen its Sutton High Street branch for a TV ad. 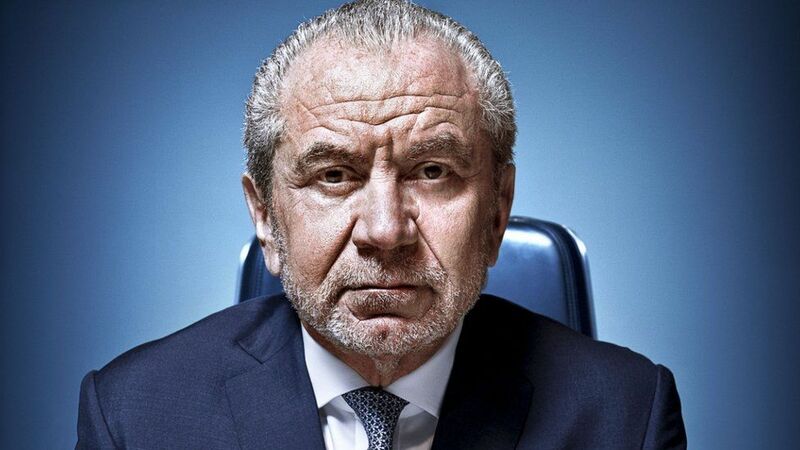 This time around though, it was the Christmas ad, a far bigger production, filmed over four days in September by 80 cast and crew, replete with fake snow. Take a look at the ad here. A lonely doll sitting in the front window of a toy shop, is still not bought by Christmas. She heads out and across the street to McDonalds, where it turns out her fate awaits her. FilmFixer manages the film office service for Sutton Council. FilmFixer director Karen Everett said, “We paid close attention to making sure locals were disrupted as little as possible on their high street during the demanding shoot, allowing the production to animate a doll and send her out into the snow for a Christmas adventure. Tom Elgood was the location manager on the shoot. He added, “All this worked incredibly well in Sutton High Street. The local people were very interested, but during the evenings and nights the High Street was very quiet, which enabled us to achieve all the shots we required. “I’m really grateful for FilmFixer’s help in setting this up and securing all the necessary permissions for us. 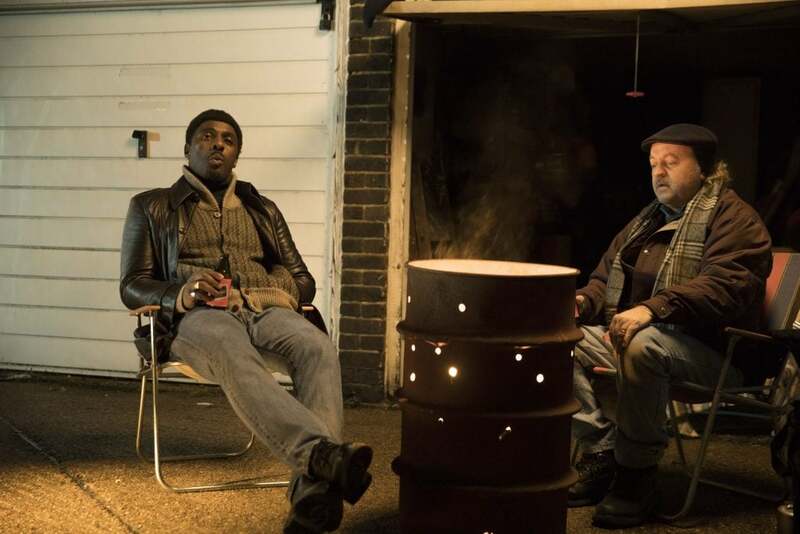 Have you seen the “good times” McDonalds ad filmed in Sutton? Shot over two days in March on Sutton High Street, the ad shows a hen party and a wedding party, among others, all heading in to McDonalds. The production used a green screen so the background could match another location used – a park. Locals mainly went about their business, wandering through the set, stopped every now and again briefly for a take. 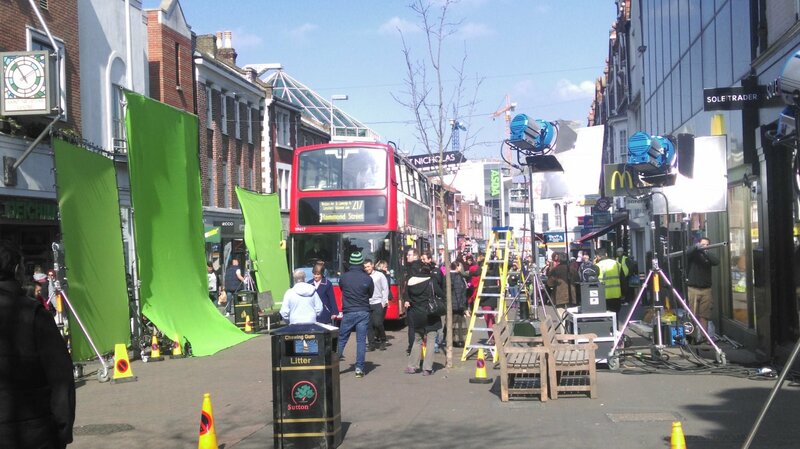 The Town Centre Team and nearby shops were all happy to cooperate, and most people were merrily intrigued to see the filming going on. David Hasselhoff’s TV mockumentary is back on Dave tonight in a new series – get ready for even more self-parodying mishaps. The first series last year, with Hoff based in a down-market hotel in Sutton, saw him auditioning for the role of himself in a biopic – a part which he failed to land. Tonight Hoff goes so far as to fake his own death, which inevitably backfires. The solution to this? Hoff goes into rehab and gets into selling confessional videos. FilmFixer helped out in Kingston last September on the Old London Road, where the Hoff gets into a stretch limousine and takes off. The series is a brilliant example of what’s possible on a small budget, with handheld or tripod mounted cameras. FilmFixer manages the film office for south-west boroughs featured in the series. FilmFixer director Karen Everett says, “The series is a brilliant inversion of how you might expect the industry to operate. Hoff’s unglamorous self-mocking show has been sold back into the US (to AXS TV), the market that made him an A-list celebrity, via BBC Worldwide sales. 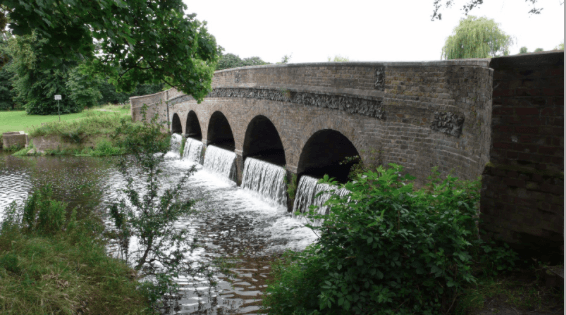 Beddington Park in Carshalton was the location that brought together recently two of the world’s most famous Danish exports – former Manchester United goalkeeper Peter Schmeichel and Carlsberg – for an upcoming advertisement. During the three-day shoot in June, older spectators were thrilled to see the World’s Best Goalkeeper of 1992 and 1993 in action, while children watching from the nearby after-school club really enjoyed watching his skilful play throughout the filming. The production company made a donation to the local children’s centre to compensate for any disruption, which has been spent on children’s activities during the summer holidays. “It was fun for the children to watch all the cameras and Schmeichel running around with a lovely dog. They could tell he was a special player. She added that the disruption had been minimal, well managed, and, thanks to the donation, worthwhile. The advertisement shoot was arranged by FilmFixer, which manages Sutton’s Film Office. “We were delighted to welcome a big-budget shoot such as this into Sutton – where Beddington Park proved to be the ideal location. It was a big production of 200 crew over three evenings, and there was a lot to manage. For FilmFixer, negotiating with the children’s centre was essential, along with Friends of Beddington Park. The Civil Aviation Authority had to grant a licence for the drones that filmed much of the advertisement. Signage had to go up well ahead of time, letting residents know what was planned. Parking had to be managed tightly and plans had to be in place to protect the park from any damage. Markfield skatepark in Haringey is fully concrete, snaking slightly downhill. It’s situated next to train tracks, and it’s a good distance away from local residents. This makes it suitable for some night shoots. There is plenty of parking and a cafe onsite, at the nearby Markfield Beam Engine and Museum. 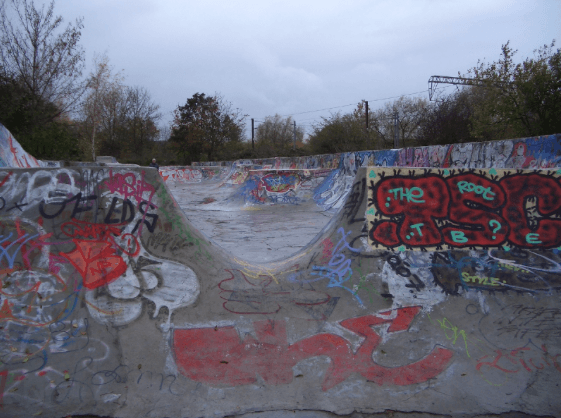 Nestled in the historic Seven Kings Park in Redbridge, this small, local skatepark is popular with children and young adults. There is ample parking available onsite in the park’s car park. Stockwell Estate’s skatepark is one of the oldest in London, and with the constantly changing Graffiti Wall of Fame, it’s one of the most iconic. There are P&D bays nearby. Whites Grounds Skate Park is film-friendly, and situated under railway arches off Bermondsey Street. It has a similar look to the famous Southbank Centre skatepark. Whites Grounds can be booked for exclusive use. This classic skatepark in Roundshaw Park, Sutton, is popular with skaters, scooters and BMX bikers. It is well-facilitated with parking available nearby, changing rooms, toilets and showers. The park is a short drive from central Croydon.